CSISS will be doing some bullfrog baseline eDNA monitoring within the North Columbia this fall. Currently there are no known populations within the CSRD. Learn more about bullfrogs on our website. If you see or hear signs of a bullfrog, please report to Frogwatch BC or if it’s within the Columbia Shuswap please send us a report online. PLAY CLEAN GO on the trails! CSISS is excited to be partnering with regional recreational groups, Rec Sites and Trails, industry representatives and others to promote Play Clean Go on the trails and at trail events. Watch for new signage and boot/bike brushes going up at trailheads near you! 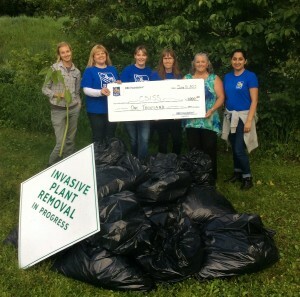 Set up a cleaning station at trails events to keep our trails invasives-free, contact us to learn more. 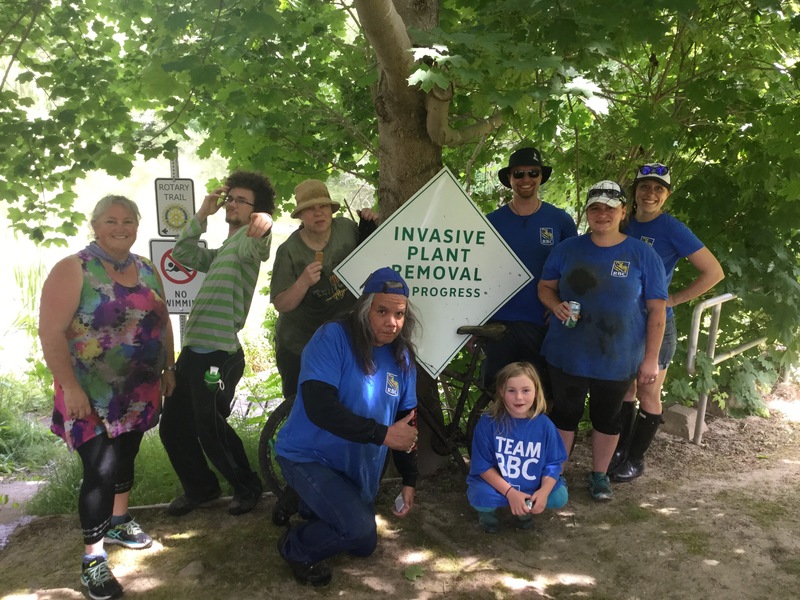 Whether walking, hiking, running, biking, or riding your horse or OHV, it’s important to make sure you don’t accidentally move invasive species from place to place. Here are a few steps you can take to help prevent the spread of invasive species. 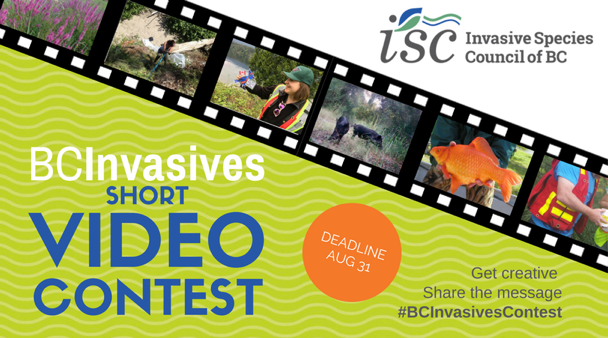 BC Invasives Short Video Contest deadline is August 31st! Participants helped demonstrate how to take levels as part of designing a wetland system. The Columbia Shuswap Invasive Species Society hosted a one day free wetland restoration and invasive species workshop with the BC Wildlife Federation, in partnership with the Columbia Mountains Institute. 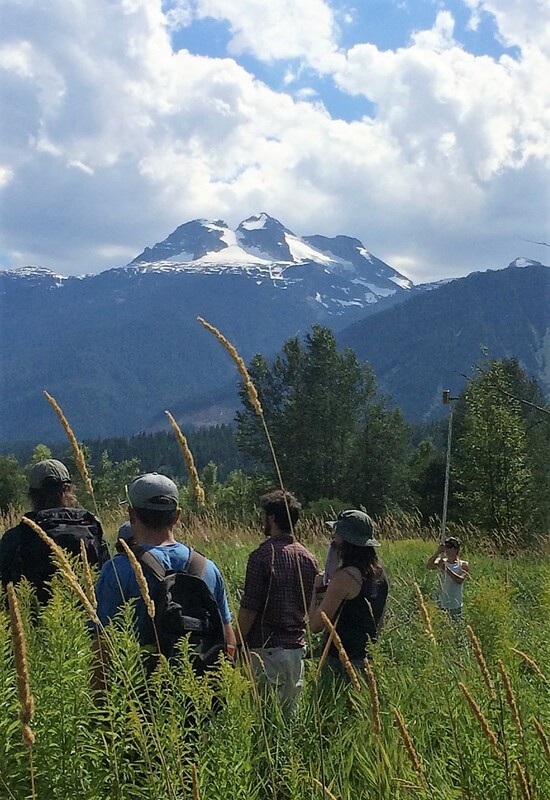 The workshop dovetailed the Columbia Mountain’s Institute Wetland Plant ID course. This workshop provided an overview of steps involved in restoring a wetland, including site selection, design considerations, and permitting requirements.The presentation also shared examples of wetland restoration in the context of managing invasive species, some of the successes and some of the challenges in BC. Following morning presentations, the participants travelled to a site to receive hands-on training in wetland restoration design. BioBlitz 150 was held on 5th and 6th of August at Mt MacPherson’s Beaver Lake. The BioBlitz cataloged species of plants and animals across the country with teams of experts and interested citizens. 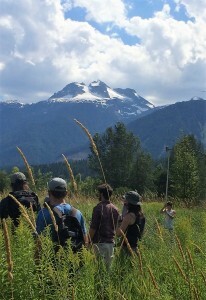 The Revelstoke team (including the CSISS staff) blitzed the biology of this unique area. 7) Attending our many outreach events, like the Invasive & Natural Plant Walk hosted by North Columbia Environmental Society! 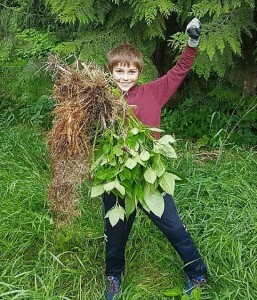 Happy to have removed Himalayan Balsam from near the Selkirk Saddle Club grounds!